Want this item tomorrow, Thursday 25th April? Order within the next 2 hrs 51 mins and choose Next Day Delivery during checkout. Versace Jeans Logo Trainers in Black, A full lace fastening in black with metal eyelets. Black woven uppers with neoprene overlays to the toe and heel in black. A padded woven tongue in black which features the signature Versace Jeans rubberised patch situated at the top of the tongue in black. The outstep features the signature Versace Jeans Tiger logo in a clear plastic design and a tapered design featured on the heel with the Versace Jeans logo in a rubberised design in black. A black rubber sole and the signature Versace Jeans VJ logo features on the undersole in black. 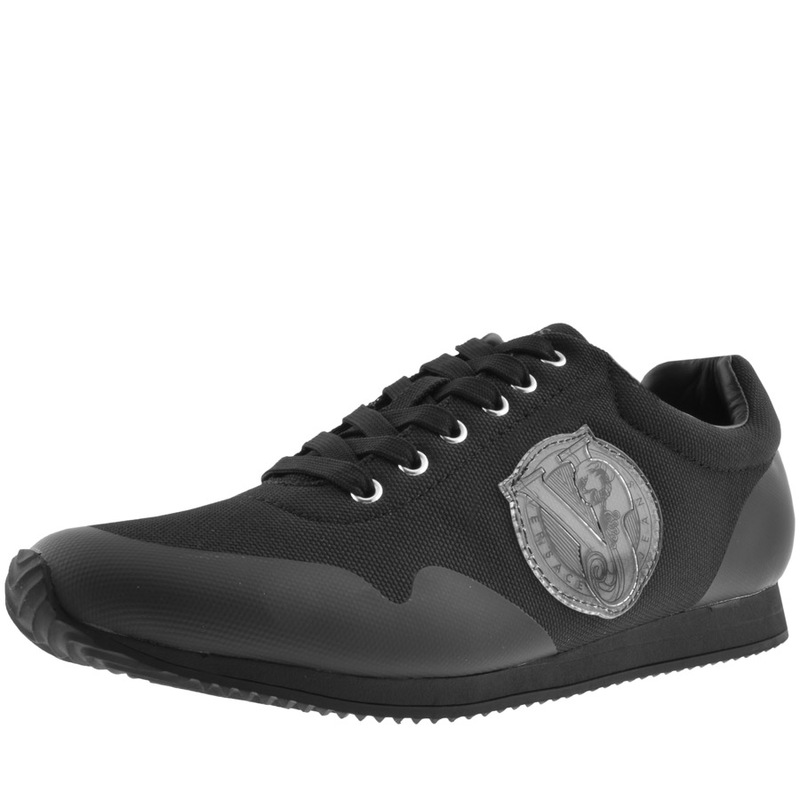 Brand New Styles Of Versace Jeans Trainers And Plimsolls Live Online.